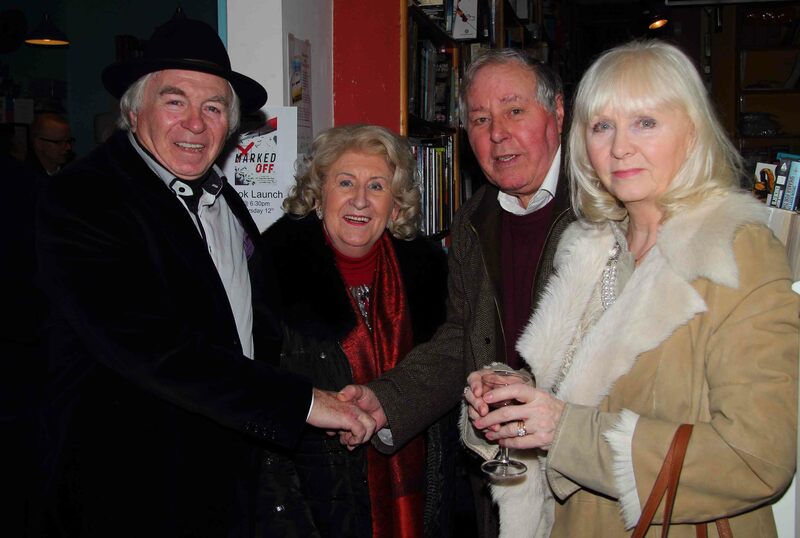 Video of book launch by On The Spot in Alan Hanna’s Book Shop, Rathmines on Thursday 12th February. 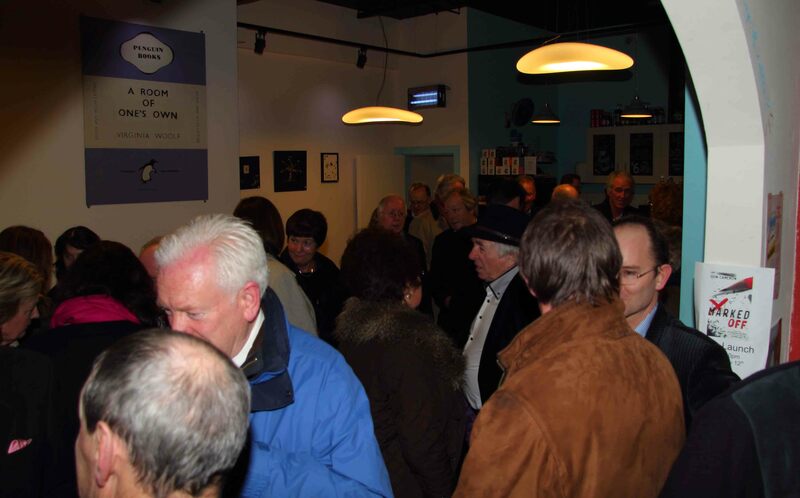 It was a great event and the large crowd really enjoyed the night! Finding a permanent place to stay in Dublin these days is not easy, and two of its most famous women can attest to that. 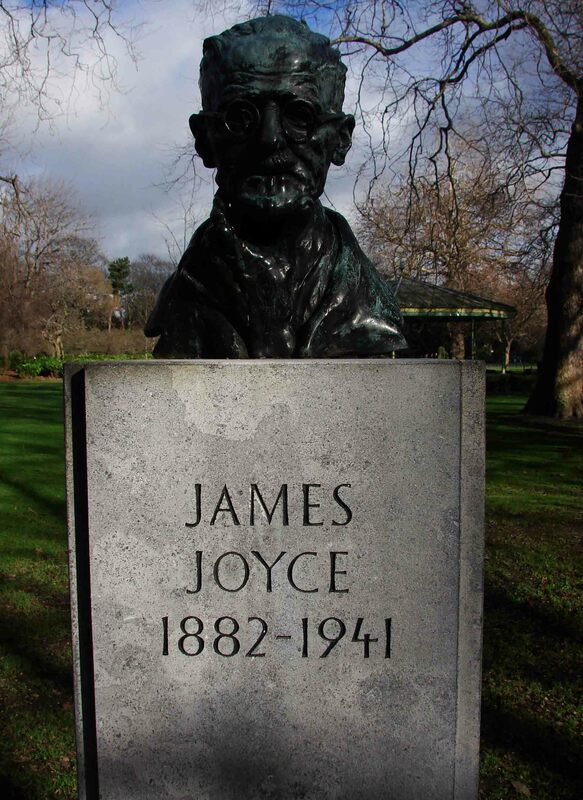 Both of them appeared in 1988 as part of the Dublin Millennium celebrations, and although they have left their original abodes they are integral to the city’s fabric. Anna Livia and Molly Malone may have been ‘Girls on Tour’ but that situation will be corrected in the future with the completion of the LUAS extension around College Green. Anna Livia – float on! Anna Livia, the bronze monument created by Eamonn O’Doherty, was commissioned by Michael Smurfit in memory of his father Jefferson Smurfit, and presented to the city. 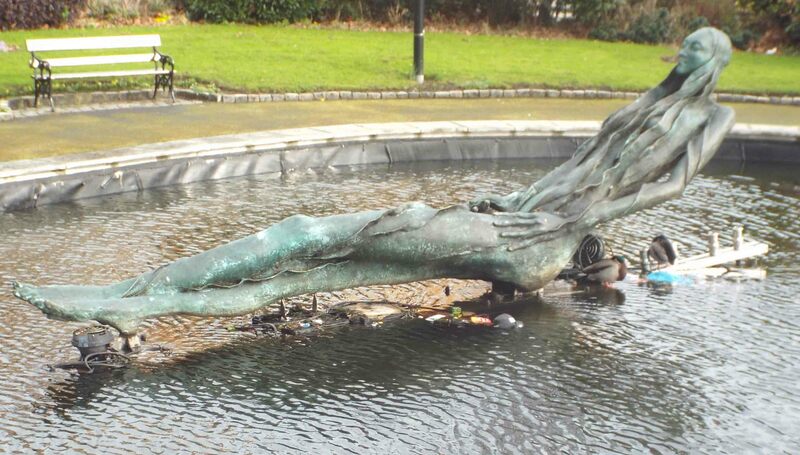 It was situated on O’Connell Street, at the site where the Spire now stands, and soon became known as the Floozie in the Jacuzzi. 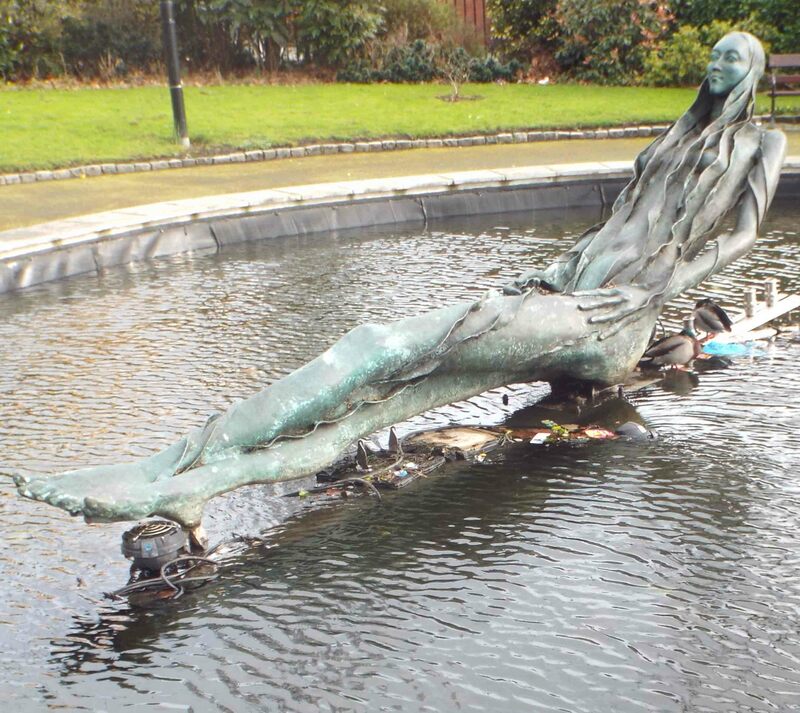 It was removed in 2001 to make way for the Spire, and now resides in the Croppies Memorial Park (close to the Liffey), a quieter site more suited to her calm, reclining image. 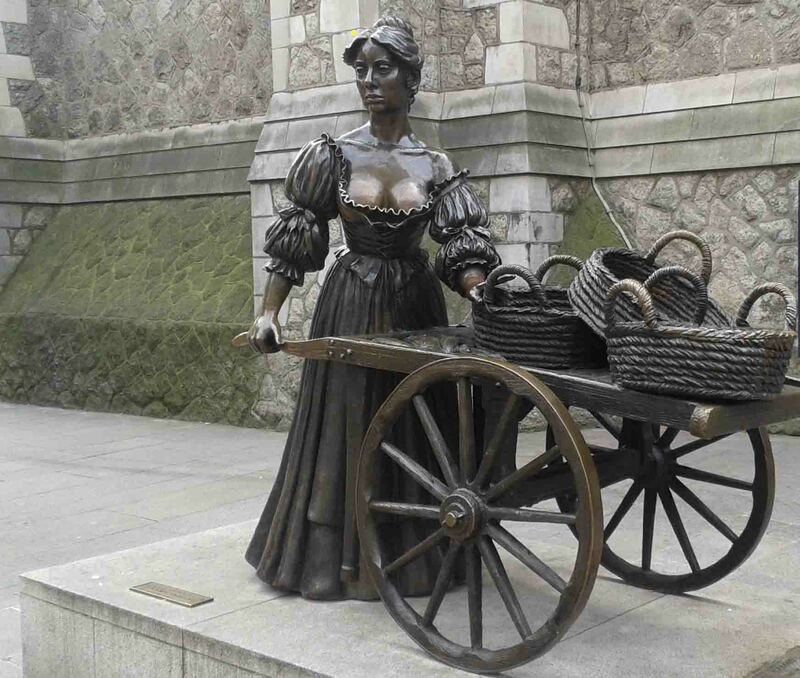 Molly Malone is still ‘on tour’ having moved from Grafton Street to Suffolk Street in 2014, and will be there until 2017 when the LUAS track is finished. 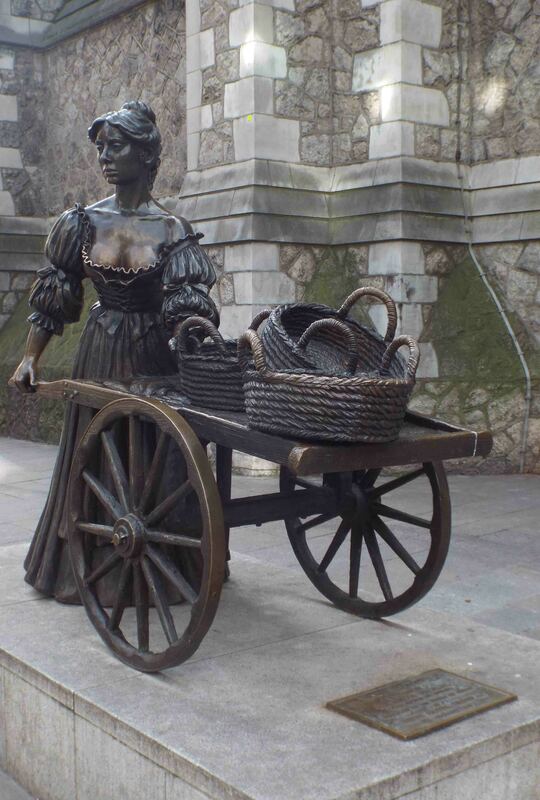 Probably the city’s most famous woman, she is based on a fictional 17th century fishmonger who plied her trade on the streets of Dublin and died young. 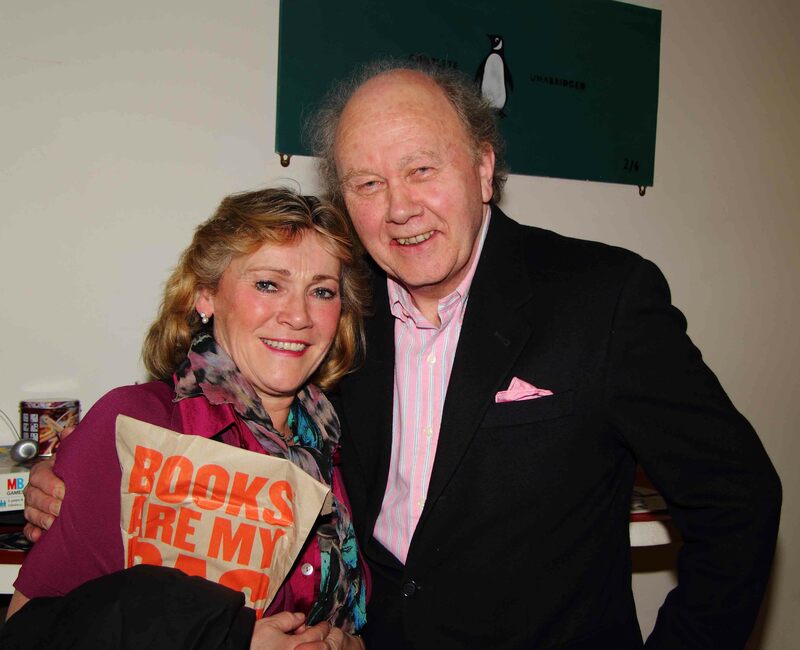 Donnybrook Fair – More than dancing at the crossroads! It is rare that a place name finds its way into the dictionary and becomes part of common language, and Donnybrook has that singular distinction. It is defined as a ‘wild fight or contentious dispute; a free-for-all brawl’ and comes from the famous, or rather infamous, fair that was held in the neighbourhood for over six hundred years. King John granted the Corporation of Dublin a licence in 1204 to hold a fair in Donnybrook, a border area on the banks of the Dodder. This was on the edge of Norman jurisdiction and, as a place for fording the river, was an important place where city dwellers and their rural neighbours met and traded. There was a church and graveyard nearby, places commonly associated with gatherings for religious festivals and burials. The elements that are usually associated with such carnivals, namely, the indulgence in food and drink, music, gambling, sporting competition , were present. However, it was the unbounded permissiveness and increased violence that took place that it became known for, and for which the name is now attributed. This epitomised the wild, unrestrained behaviour of rural peasantry and by the late 1700s lurid reports began to feature in local newspapers. And by the mid-eighteenth century fighting between the south side Liberty weavers gang and the north side Ormond butchers was drawing negative attention. The movement for reform began in the sixteenth century, and after the 1798 Rebellion and the impact of the French Revolution that was stirring a new class-consciousness, the authorities made a concerted effort to restrict the fair’s activities . 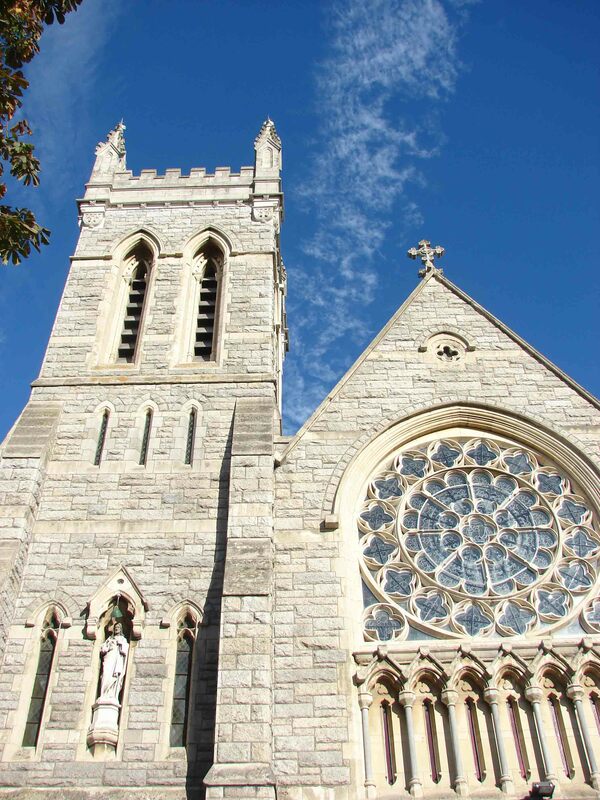 Through the early 1800s the movement for abolition gathered steam with local merchants, the nobility and the church joining forces. The end came on 26th August (usual first day of the fair) 1866 when a new church, dedicated to the Sacred Heart in atonement for the sins committed at the fair, was opened only yards from the fair ground. The small crowd of fair goers soon slipped away quietly – and that was the end. 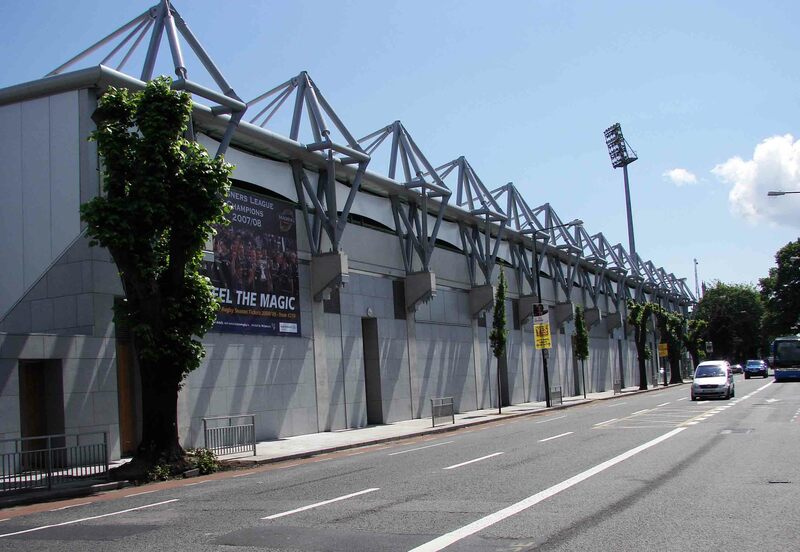 The fair soon became a memory, and the fair green was later developed in 1881 as a rugby ground (the former home of Leinster Rugby) where both Old Wesley and Bective Rangers now play. 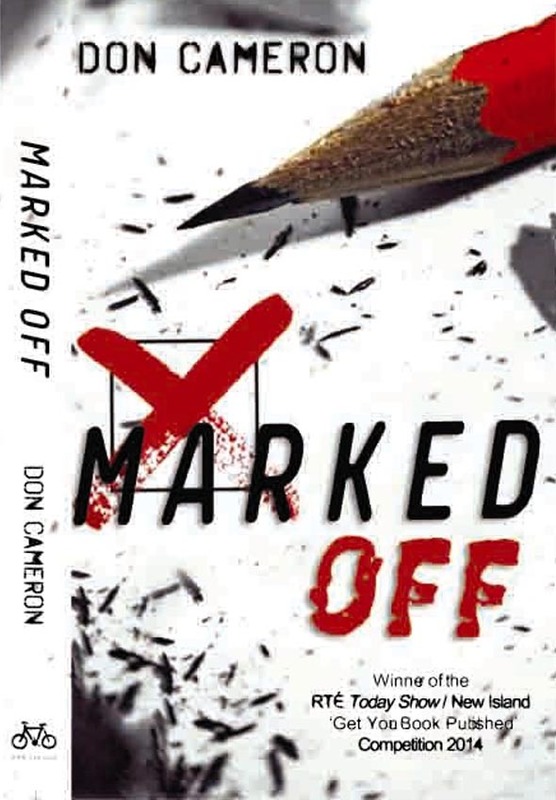 Marked Off – it’s finally here! Well, after a long wait my book is finally here. I collected it (and a few more) from the publishers New Island Books, and it was a great thrill. 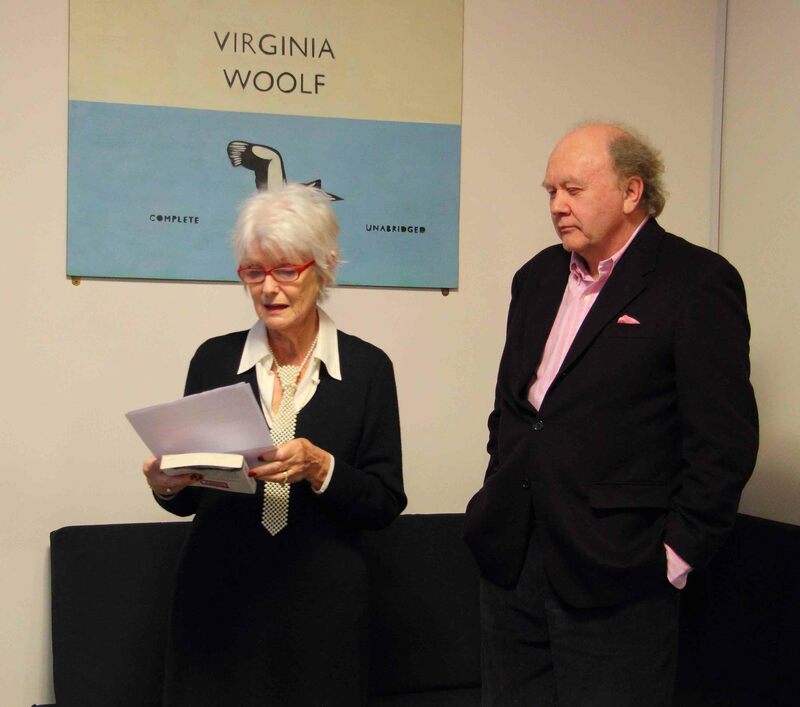 Afterwards, I was asked to write a piece about the experience of writing the book for writing.ie – an excellent website for those with an interest in books and the business of books. 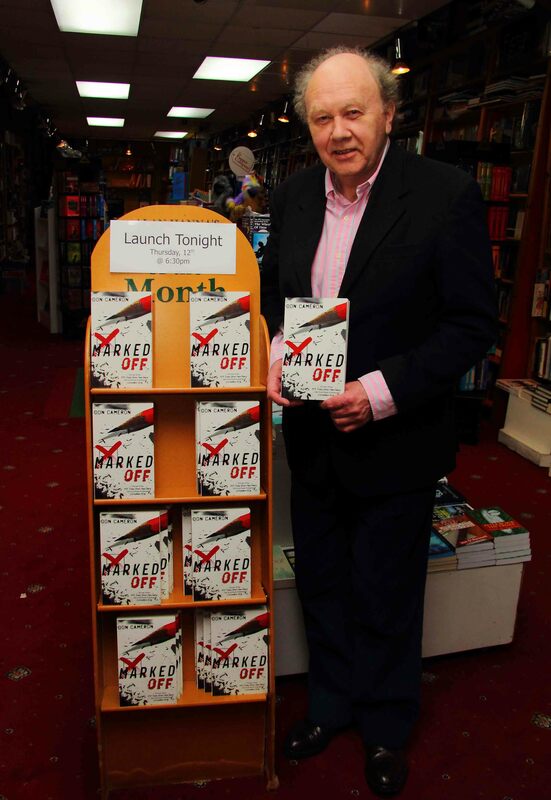 The book launch will be in Alan Hanna’s Bookshop, Rathmines on Thursday 12th February – should be a great night! 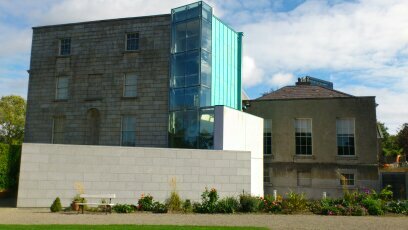 The great house, The Hermitage, was built in 1780 for Edward Hudson, a successful Dublin dentist in 1780, and over the following years the grounds were laid out. 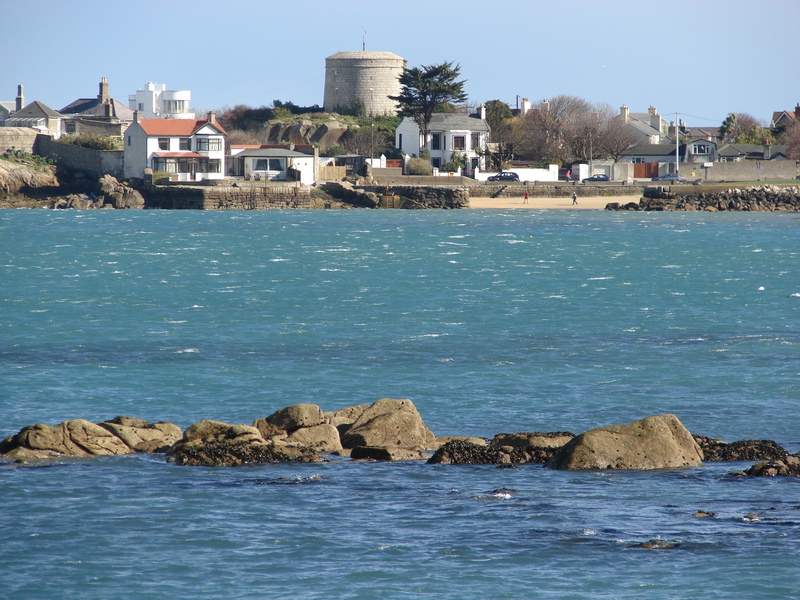 There are forested areas where a fine selection of local flora and fauna is found, along with a number of follies, a hermit’s cave and a faux dolmen and Ogham stone. 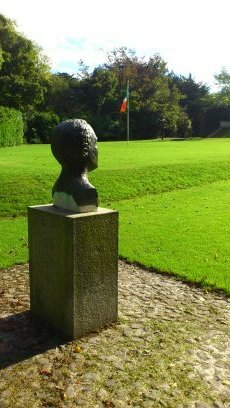 In 1910 Padraig Pearse, who had opened his school St Enda’s (Scoil Eanna) in Cullenswood House, Ranelagh in 1908, decided to move ‘to the country’ when he visited St Enda’s Park. This was due to his interest in both teaching Irish (he was adamant about pupils being bilingual) and that they should have a strong interest in nature. The curriculum and teaching methods were very popular and soon attracted many students. However, with Pearse’s growing involvement in republican matters, the school’s prospects soon began to suffer. Only a matter of days after the fighting ended, he and his brother Willie, along with Thomas McDonagh (assistant headmaster and signatory of the Proclamation of Independence) were executed for the part in the Easter Rising. Without Pearse’s direction and energy the school, inevitably, went into decline. It was run for a time by their mother who, with the influx of funds after the executions, was able to buy the property. However, due to the falling numbers of pupils the school closed its doors for the last time in 1935. 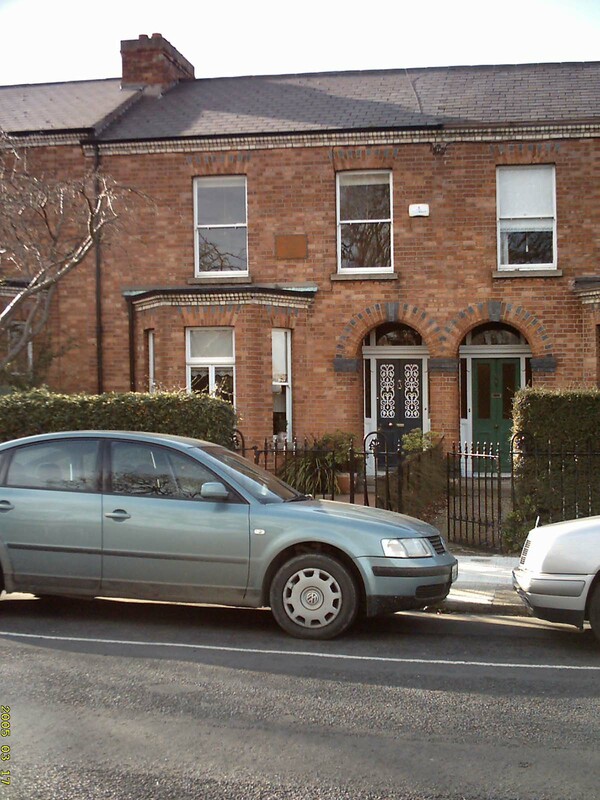 Following the death of Pearse’s sister (Margaret Mary Pearse) 1968, the ownership of the property was transferred to the State. Recently, the building has been extensively renovated with many of the rooms now on show as they were in Pearse’s time, namely; his study, the sitting-room, art gallery (with a number of sculptures by Willie Pearse) and a pupils’ dormitory. 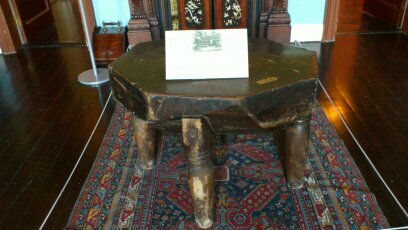 A large, timber three-legged table upon which Robert Emmet was decapitated is an interesting, if little publicised and macabre, item of historical interest. Outside, the gardens, courtyard restaurant, paths and bubbling fountain are a perfect place for a walk and quiet reflection. It’s a hidden gem!